Join with other adults to fully consider this vital aspect of being a whole person. O.W.L. is fun and engaging too… we promise! When: Four Saturday sessions: April 6 & 27, May 11, June 1 (Forbes Hall), Followed by five sessions in the fall. Sign up at the RE Table or email uusmdre@gmail.com. Our Whole Lives is a human sexuality class focused on developing positive relationships and respect for others across the spectrum of gender identity and sexual expression. Honest, accurate information about sexuality changes lives. It dismantles stereotypes and assumptions, builds self-acceptance and self-esteem, fosters healthy relationships, improves decision making, and has the potential to save lives. For these reasons and more, we are proud to offer Our Whole Lives (OWL), a comprehensive, lifespan sexuality education curricula for use in both secular settings and faith communities. Using values, communication skills, and spirituality as starting points, this program explores sexuality issues for adults of all ages. With it, we will build on the understanding of healthy sexual relationships, affirm diversity and help participants accept and affirm their own sexuality throughout their lives. Please consider if you will be able to commit to regular attendance. Space is limited so register early! Schedule a Conversation and Tea with the DRE- Come tell me how your family is doing. What is going on in your lives? What is your vision for the church and the RE Program? What can I do for you? passover sederA special intern rabbi will lead the Passover Seder and service, which will include a reading of the Haggadah. Traditional Passover food and wine will be served. A donation of $15 per person or $30 per family is requested. Please also bring a side dish, such as a vegetable, salad, or dessert (macaroons, honey cake) to share. No one will be turned away for their inability to pay. Attendance is limited to 40 people to preserve an intimate family setting, so please sign up at the Adult RE table in Forbes or send an email to the facilitators, Resa Foreman or Teri Lucas. If you are interested in volunteering to help with organizing, set-up, and clean-up for the event, please contact the facilitators. The event itself will take place from 5:00-9:00 pm in Forbes. Do you wish to express yourself creatively in art, and yet may feel inadequate or untrained? Do you yearn to make an artistic statement, yet not sure how? Do you have too many catalogs, magazines, and advertisements, and haven’t a clue what to do with them? We welcome you to create your own collages with Stan Bemis! Stan works to bring joy and peace into people’s lives through creating art. He has taught many who didn’t realize they had creative talent, from all across the world – from California to Palestine/Israel. He welcomes any age, from youths to older adults. The goal of this group is to help foster personal worth and empowerment, entering that holy place within and having sacred fun. The objectives are: 1. to create works of art; and 2. to possibly create cards for events or celebrations. We encourage you to bring your old magazines to work with as well. We meet from 10:00-12:00 pm in the NE Cottage. Contacts: Stan Bemis or Sarah Robson. They say that dancing is combining fun with exercise and friends! Learn international folk dancing with instructors Sandy Helperin and Teri Hoffman. Folk dancing is for anyone who loves to move to traditional music. New dancers are welcome – there are no partners required. Donations accepted. We meet from 7:00–8:30 pm in Forbes Hall. Contact: Ellen Levy. 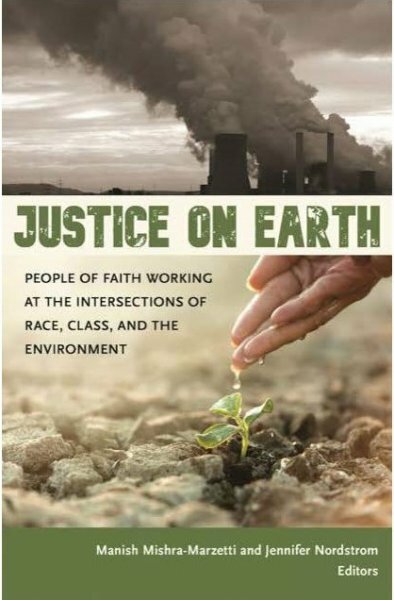 Justice on Earth bookcoverJoin us for the 2018-2019 UUA Common Read, Justice on Earth: People of Faith Working at the Intersections of Race, Class, and Environment, edited by Manish Mishra-Marzetti and Jennifer Nordstrom (Skinner House Books, 2018). As we kick off Climate Justice Month (World Water Day to Earth Day), Alison Kendall and James Witker will facilitate a three-part discussion on the intersectional challenges of combating today’s environmental crisis and its many interconnected ills. Together, we will read and respond to this engaging anthology of essays from diverse authors within our greater UU movement. We will also consider recent developments like the proposed Green New Deal, Los Angeles’ decision to shutter natural gas power plants, and the latest international climate news. We are meeting from 3:00–5:00 pm in Forbes. Contacts: James Witker or Alison Kendall. AAHS (Atheists, Agnostics, Humanists, and Secularists) is an open group that meets for lively and engaging discussion on topics of politics, science, religion, and philosophy. We also host occasional guest speakers, films, and outings. We are a home base for non-believers and questioners, but everyone is welcome. For many, atheism/agnosticism is a first step; Humanism is the thousand steps that come after. For April, we’ll return to the fascinating topic of emergence and complex systems. New explorations in science and philosophy are working to understand why, and how, the universe can be an engine of explosive (if unguided) creativity under the right conditions, wherein new systems of organization arise from simpler structure and reality comprises of more than merely the sum of its parts. We meet 1:00–3:00 pm in the Warren Matthews Conference Room. Contact: James Witker. The Disability Support Group will be promoting a dialogue on a selected topic at each of its meetings throughout this church year. There is a different theme for each month. All church members interested in the topic are invited to attend. For April, we will be discussing Interactions with Local, State, and Federal Government. We meet the fourth Sunday of each month from 12:30–2:00 pm in the NE Cottage. Contact: Michael Young. The Men’s Group offers a special opportunity to the men of the congregation and other like-minded men to join our welcoming group in provocative and stimulating discussion and to get to know others with UU perspectives in a more meaningful way. We meet the first and third Thursdays of the month. The topic for April 4 is: Getting away from our regular life by going on a trip is restorative to a person and especially to a relationship. What trip and hotel or campground stay was your most memorable and why? The topic for April 18 is: What person in your life do you wish you had spent more time with? What questions would you have asked of this person? We meet from 7:30-9:00 pm in the NE Cottage. Contact: Richard Mathias. This ongoing class helps participants master specific meditation skills. We endeavor to answer the questions Who am I? (attitudes and beliefs) and What am I? (essence or true nature). 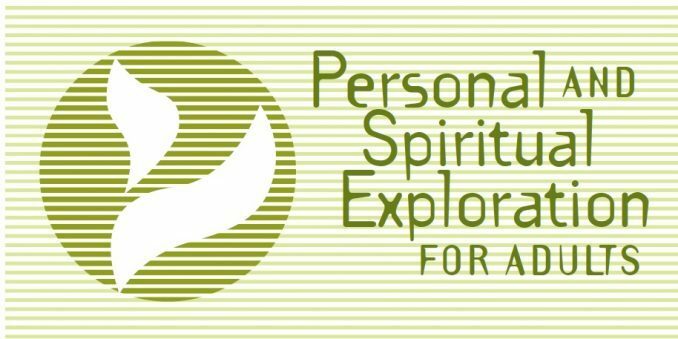 This class will include meditations that explore participants’ spiritual goals. The monthly group meetings also focus on insights gained throughout the month. It is expected that participants will develop and enjoy a regular meditation practice. This group meets on the first and third Mondays from 7:30-9:00 pm in Classroom 3. Contact: Bill Blake. Our Whole Lives is a human sexuality class focused on developing positive relationships and respect for others across the spectrum of gender identity and sexual expression. Honest, accurate information about sexuality changes lives. It dismantles stereotypes and assumptions, builds self-acceptance and self-esteem, fosters healthy relationships, improves decision making, and has the potential to save lives. For these reasons and more, we are proud to offer Our Whole Lives (OWL), a comprehensive, lifespan sexuality education curricula for use in both secular settings and faith communities. Using values, communication skills, and spirituality as starting points, this program explores sexuality issues for adults of all ages. With it we will build on the understanding of healthy sexual relationships, affirm diversity, and help participants accept and affirm their own sexuality throughout their lives. Classes for adults will be held in the spring of 2019 at UUSM. Four Saturday sessions – April 6 and 27, May 11, and June 1 – followed by five sessions in the fall. Sign up at the RE Table after services or email uusmdre@gmail.com Please consider if you will be able to commit to regular attendance. We will be meeting on April 6 8:00 am–4:00 pm in Forbes Hall, and then on April 27 12:00–6:00 pm in Forbes Classroom 4. Today, for the first time in history, most people approaching their elder years can expect to live for another two or three decades. But how do you want to live those years? Research now shows that people with positive self-perceptions as they age will live longer, healthier lives. We will gather for two 3-hour workshops to explore Sage-ing or conscious aging, a model for late life that can help us to live with more awareness, joy, and purpose. This inner work of aging opens the opportunity for seniors to become Elders – Awakening the Sage Within. We will introduce aging as a spiritual journey, our images/fears of aging, harvesting wisdom from our life review, forgiveness to release the past, and facing our mortality. Free! Preregistration is required; no walk-ins. Recommended reading: “From Age-ing to Sage-ing” by Rabbi Zalman Schacter-Shalomi We will meet Saturday, April 27, 2:00–5:00 pm and Sunday, April 28, 2:00-5:00 pm in Forbes Hall. Contact: DRE Kathleen Hogue for registration. Come join Sue Stoyanoff and Bettye Barclay for Conversations and Connections. Each person attending sits one to one with several different people during the time we are together. In these dyads there is time to talk, to listen, and to dialogue about the questions presented each time. It is our intention that these times will be relaxing, enjoyable, and an opportunity for people in our congregation to create a growing web of connections. We meet 10:00 am–12:00 pm in Forbes Hall. Contacts: Sue Stoyanoff or Bettye Barclay. Knitters and Friends - Please join us for fellowship in between services on Sundays. You are welcome to bring any project. All Sundays 10:00–11:00 am in West Forbes Hall. Contact: Linda Van Ligten. Body-Mind Tune Up for Seniors This group is for seniors, superseniors, and people with physical difficulties for UUSM members. All Fridays 10:00–11:00 am in Forbes Hall. Contact: Bruno Lacombe. Note: Free for church members, $10 suggested donation for nonmembers. Fiction Reading Book Club - We will be reading Anything is Possible by Elizabeth Strout (272 pages). Nine linked tales about overcoming miserable childhoods, severe losses, disheartening marriages, and war trauma to experience moments of amazing grace, resulting in comfort and reassurance. We meet Monday, April 15, 7:00–8:30 pm in Classroom 1. Contact: Lucy Hahn. Science Non-Fiction Book Group - We will discuss Black Hole Blues and Other Songs from Outer Space, by Janna Levin (256 pages). The story behind the discovery of gravity waves and other esoteric physical phenomena, from a theoretical astrophysicist with a reputation for lyricism. All are welcome. We meet Tuesday, April 16 from 7:30–9:00 pm in Forbes. Contact: Rebecca Crawford. 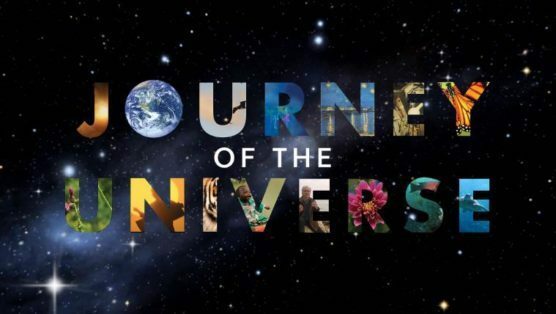 Join us on Sunday, April 28 at 1 pm for a special Earth Sunday screening of Journey of the Universe, a unique odyssey of cosmic, biological, and cultural evolution that offers insight and inspiration for our present ecological challenges. In a single 60-minute narrative, writer and host Brian Swimme guides us through a scientific and spiritual Great Story, from the birth of the universe to the emergence of complex structures, from the dawn of life as we know it to the conscious present moment. The whole experience is framed by a single day on the Greek island of Samos, a crossroads of history and discovery. Different from purely scientific approaches, Journey is the first film to integrate arts and humanities into the cosmic big picture. Drawing on the work of the late Fr. Thomas Berry, a cosmologist, historian, and eco-theologian, Journey won an Emmy Award for Best Documentary in 2012 and has birthed an online video series and podcast, as well as a sequence of online courses through the Yale Forum on Religion and Ecology. Journey of the Universe narrates the 14 billion−year story of the universe’s development, from the great flaring forth at the universe’s inception to the emergence of simple molecules and atoms to the evolution of galaxies, stars, solar systems, and planetary life of greater complexity and consciousness. This is a story that inspires wonder as we begin to understand such complexity through science and appreciate such beauty through poetry, art, history, philosophy, and religion. It also awakens us to the dynamic processes of evolution that are chaotic and destructive, as well as creative and life-generating. Journey of the Universe is a cosmology, although not just in the scientific sense of the study of the early universe. Rather, it is a cosmology in the sense of being an integrated story that explains where both humans and life forms have come from. All cultures have had such stories. We now have the capacity to tell a comprehensive story drawing on astronomy and physics to explain the emergence of galaxies and stars, geology and chemistry to understand the formation of Earth, biology and botany to envision life’s evolution, and anthropology and the humanities to trace the rise of humans. Journey draws on all these disciplines to narrate a story of universe, Earth, and human evolution that is widely accessible. Journey weaves science and humanities in a new way that allows for a comprehensive sense of mystery and awe to arise. Such an approach expands the human perspective beyond an anthropocentric worldview to one that values life’s complexity and sees the role of humans as critical to the further flourishing of the Earth community.